Grant yourself the time to enjoy a fun slot game filled with vibrant colours, music and exotic animals and rewards! Grab a mango and start spinning! 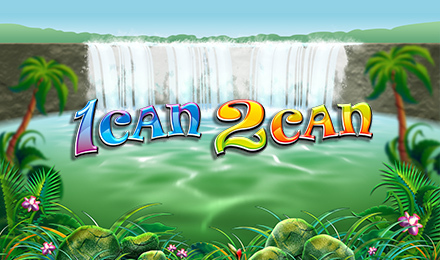 Immerse yourself into a forest filled with features, tropical animals, and rewards on 1 Can 2 Can slots. NextGen Gaming has powered a nature themed slot based in the Amazon forest where two Toucan birds can award you load of rewards on the 5 reel and 25 payline slot grid. The WILD symbol is the replacement symbol that replaces all symbols except the scatter symbol! This give you a higher winning rank. Encounter the Fruity Free Spins Bonus Feature and Gamble Feature to double up your wins.